About Product : Stories of cultures & traditions... soaked in colors of amazements.. etched in time.. adorn your walls with these hand-painted plates & let them be a storyteller every time you pass by.. 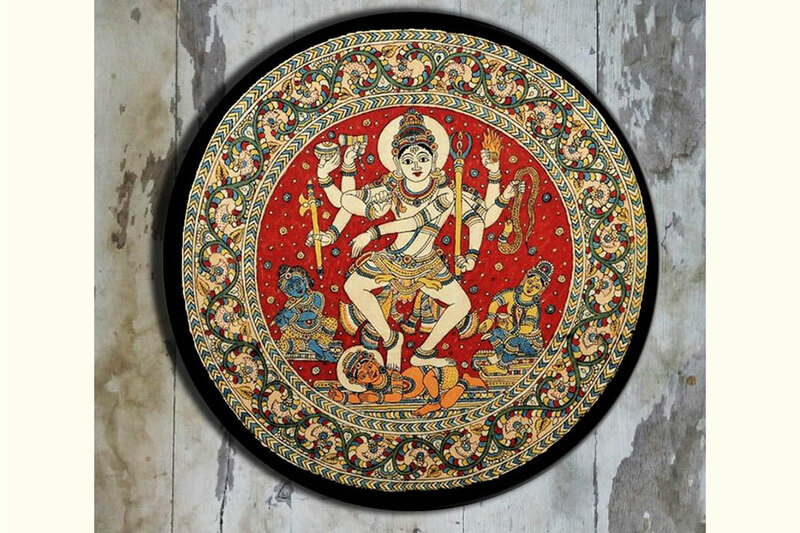 Product details ♦ Exquisitely hand painted 'Kalamkari' wall plate. 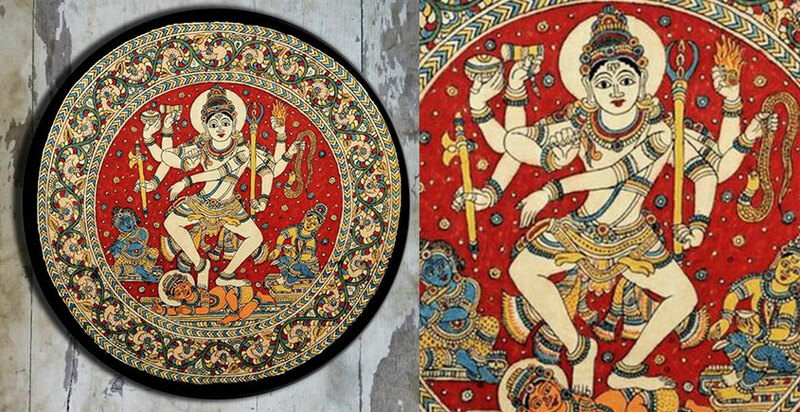 Kalamkari or qalamkari is a type of hand-painted or block-printed cotton textile, produced in parts of India and Iran. Its name originates in the Persia and is derived from the words qalam (pen) and kari (craftmanship), meaning drawing with a pen. ♦ Size(diameter)of each plate : 10 inches . 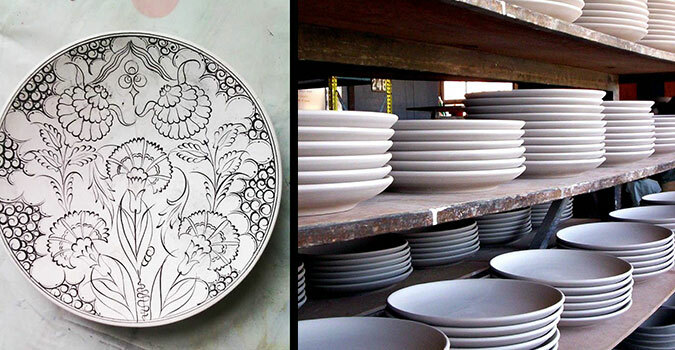 ♦ For all the wall plates, organic paint has been used to colour them. These colours have a matt texture, and may bleed if they come in contact with liquid. Hence, buyers are strongly advised not to wipe plates with a wet cloth. All plates should be lightly dusted.These should not be used to serve food, they are to be hung on walls for purely decorative purpose only. All plates are wall hanging and come with an attached fixture at the back. 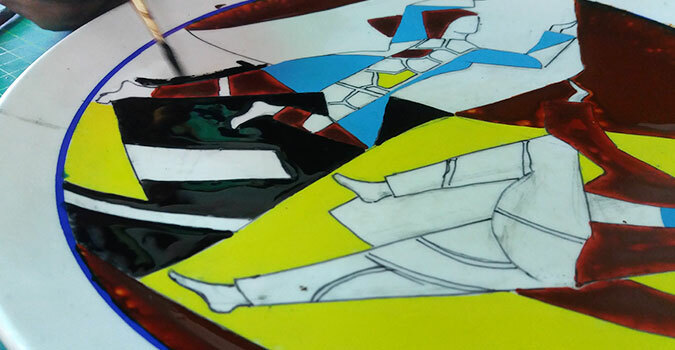 Although all efforts are made to create identical plates to that of the images published on the website, there could be minor shade differences, as all plates are individually hand crafted and painted when an order is placed.